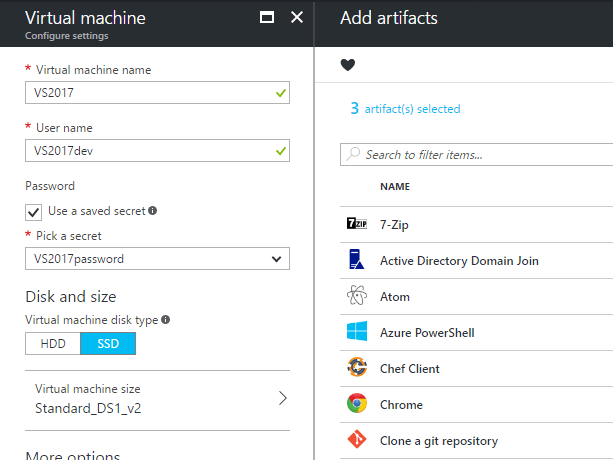 DevTest Labs is one the best – and probably least – used features on Azure. It is similar to creating virtual machines on Azure but provides some specific features and advantages we will review. Azure DevTest Labs is a service that Microsoft Azure provides. This service provides functionality for managing environments that contain Azure Virtual Machines. DevTest Labs does not cost any more than the cost of the virtual machines that you are using. Auto-startup and shutdown are really key features. Compared to just using virtual machines, the auto-shutdown helps you save a lot of money. VMs can contain artifacts. These can be things that need to be installed, but also things that need to happen. When you create a VM, you can indicate that you want to add artifacts, like install Git and Slack, or create a website shortcut or download a file. You can add a Git repo as a source for artifacts and create your own, custom artifacts. You can use this to do things like automatically download the latest version of source code onto the VM. When you create a VM, you choose the properties of the VM like the base image, the name, the size (pricing tier), the disk type, etc. In Azure DevTest Labs, you can create formulas that allow you to create a VM quickly. A formula provides all of the properties pre-filled so that you can create a VM with just a few clicks. Azure DevTest labs enable you to set policies for the lab to manage costs and minimize waste. You can set things like the number of VMs that each person can use, the allowed VM sizes, auto-shutdown and -startup times for VMs and more. Artifacts can be added to VMs and can help you a lot. These are customizable elements that can be used to deploy your latest bits or your dev tools onto a VM. They can be things that need to be installed or things that need to happen. Per default, you can use the artifacts from Microsoft’s Public GitHub repository. You can also create your own, custom artifacts. Do this by creating a JSON file in a certain format and have that point to a task (PowerShell, or other executable) that performs the action that you want. You need to store the JSON file in a Git repository that you attach to the DevTest Lab. You can also use chocolatey to script installing virtually anything! Setting up a development and test environment can take lots of time. You’re restricted by the capabilities of IT operations and – as developers and testers – you’re not in control of the machines. What you really want is self-service development and test environments. And you can by using Azure DevTest Labs! DevTest Labs is perfect for test servers. The ability to set them up with auto-shutdown helps ensure that the costs don’t get out of control. You don’t have to pay much for servers when they are off so you can turn them on, use them for a while, and shut them right back off. 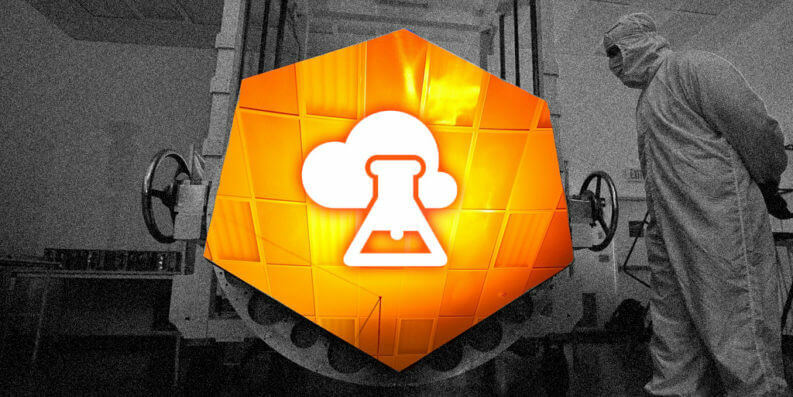 Stackify takes advantage of DevTest Labs for testing their APM server monitoring agents. They can quickly spin them up, install the latest agent and run some load testing. Knowing that auto-shutdown will turn them off relieves a lot of headaches on the cost side. If you are using Azure for production, DevTest Labs can be very useful for various sorts of test servers, build servers, or other utilities. Having the VMs close to the rest of your Azure resources is ideal. Provisioning VMs is pretty fast – not super fast. In my experience, it usually takes between 5 and 10 minutes before a VM is properly started. Keep that in mind when you create an automated test process. A dual core VM on Azure with 4GB of RAM costs about $100 a month on Azure if you used it 24/7. $1,200 a year for a virtual desktop sounds expensive. But don’t forget, you won’t be using it 24/7 and DevTest Labs can automatically start up and shut down your VM to ensure that you don’t waste any money. There are 168 hours in a week. If you used your VM for 50 hours a week for work, that is less than $400 a year. You could even have multiples and since you probably only use one at a time, the cost doesn’t go up very much. You only pay the storage costs when they are turned off. VMs in the cloud can be very fast – you don’t have to worry about having a slow machine. You need to find the right VM size for you that is fast enough and has all the bits that you need. This will probably save you costs over using dedicated, fast and expensive dev machines. The VMs can be shut down at the end of the day, thereby stopping the VM from costing money (almost completely). You can’t save costs like that with actual hardware that you bought. Moreover, when a new dev starts, you just spin up a new VM from a formula and 10 minutes later he can get cracking!